After working for a number of the larger car hire companies, I decided to set up my own business and have established Cars 4 Hire as an independent car hire company. I believe that Cars 4 Hire can offer you a personalised service tailored to meet the needs of the business executive as well as those seeking social, domestic and pleasure visits to South Africa. I believe the company can offer you a first class reliable, personalised and trouble free car rental service. We have worked closely with several of the larger car rental companies and have been able to secure excellent working relationships with them. By working with the bigger companies we have been able to secure a wide range of vehicles which are not older than 2 years at affordable all inclusive rates. Our team at Cars 4 Hire are able to cater for any car rental requirement you might need throughout South Africa. We are able to arrange vehicles at any major airport and from any downtown location within the country. We are also able to offer car rental in Namibia and selected vehicles are permitted to cross into certain bordering countries with our prior consent. Our daily all inclusive rates include airport surcharges and tourism levies. We also provide one way rentals at affordable prices. 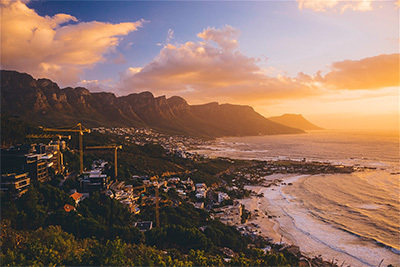 For example we are able to provide a price for collecting your hire vehicle in Cape Town and dropping it off at a suitable alternative location. We are an online based company, so your reservation can be confirmed using three simple on-line steps (Quote, Book and Confirm)! Once your vehicle has been confirmed you will receive a detailed information sheet explaining the collection/drop off procedure along with your reservation number which needs to be presented at the collection point. How you would benefit booking with Cars 4 Hire?